Tonight’s dinner we ate in two stages. The two salads we had as an appetizer and then John cooked the burgers as the main. It makes dinner last longer! I really like these two salads. 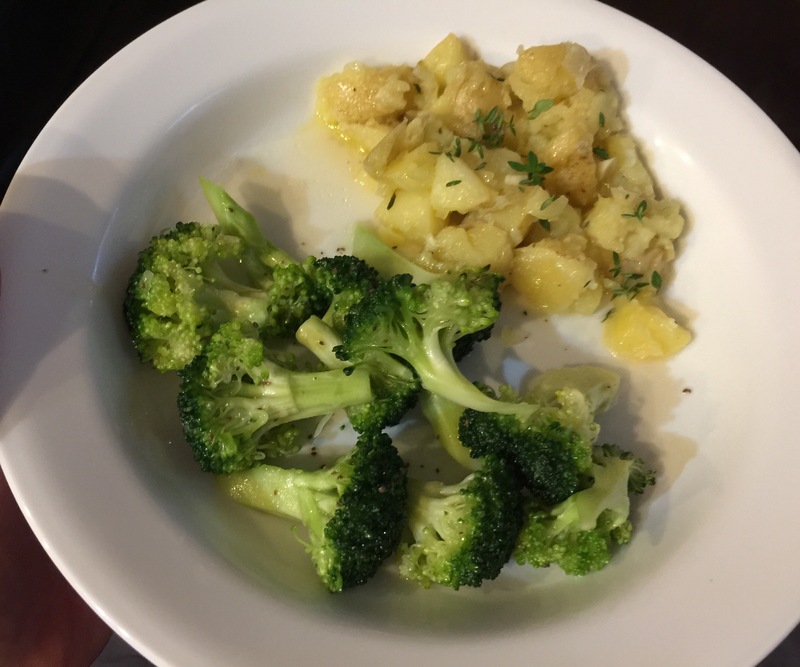 The sweet, oniony, salty dressing with celery seeds is delicious with the broccoli and I think I am addicted to this way of serving potatoes. Tonight I diced the potatoes before I steamed them. Add the salt, olive oil and thyme while they are hot so they absorb the flavor. Serve them warm or at room temperature. John did a superb job with the burgers. 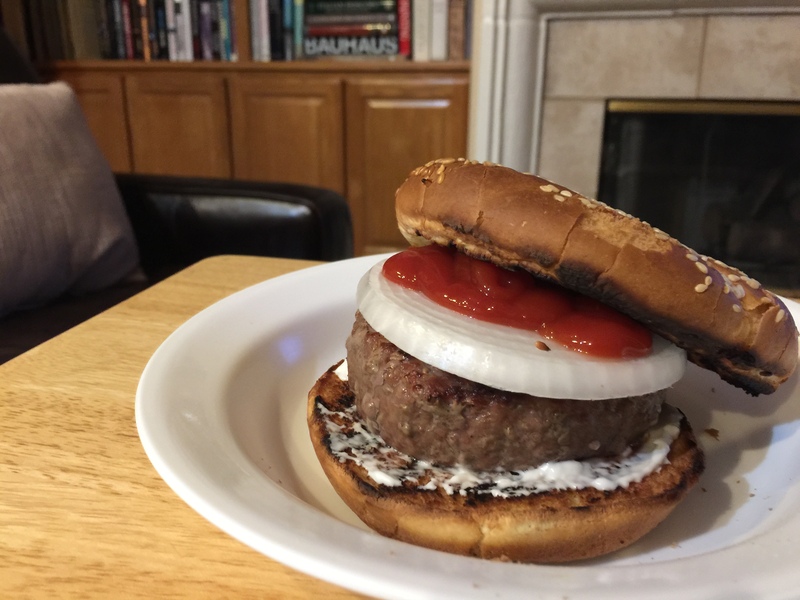 They were cooked medium rare and served on a bun with a slice of onion and a little mayo and ketchup. This entry was posted in Beef, Vegetables and tagged broccoli, hamburgers, Potato salad. Bookmark the permalink.